Blueberry production and consumption has been increasing rapidly in recent years. Blueberries are traditionally grown in the ground. The soil should be well-drained, yet with sufficient moister holding capacity. 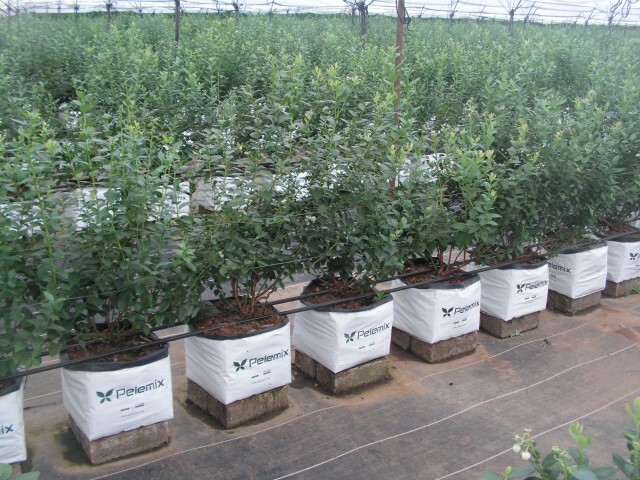 Optimizing blueberry production requires a high level of control, a balanced air-to-water ratio in the ground or growing media, proper micro-irrigation and fertilization. All these can be achieved when using soilless technology in general and coco-coir in particular. 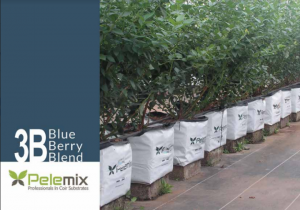 Our 3B Multi-Drain OpenTop System for blueberries has been created by combining the ideal volume of a specially formulated coco-coir blend and an innovatively designed Pelemix OpenTop bag.